Initially designed for a museum exhibit about race, this project continued as a computer graphics installation about my own thoughts on race. Oppression has many disguises, not just a white cloak and a white hood. Racial equality has become better in the USA, but it is still present like a hard to remove stain. Sometimes it is the oppressed victim him/herself that is perpetuating racism and oppressing himself/herself. My project is intended to be a self-contemplation exhibit to encourage all people to stop excluding themselves from other races because of their own presumptions. What would your friends do if you woke up tomorrow morning and you were a different race? Would they still be your friends? Would they still invite you to their parties? Why don’t you email them and ask them? 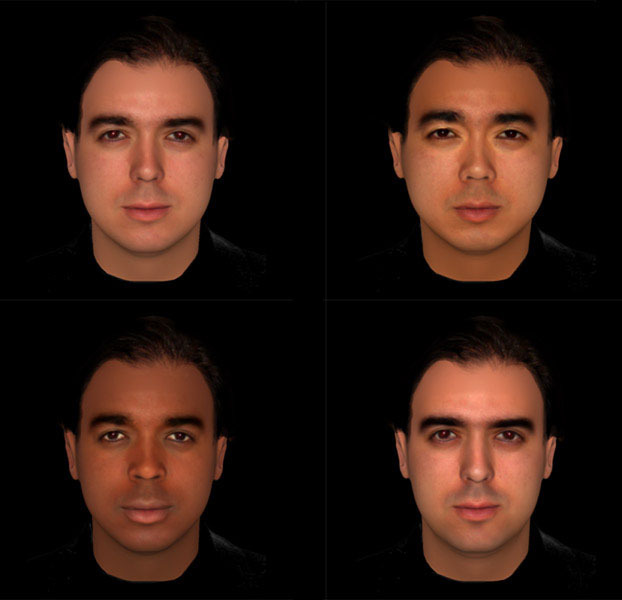 In this interactive exhibit, you can do just that by emailing them with your new racial identity.